Musicologist and writer Laura Stanfield Prichard takes a deep dive into The Handmaid's Tale by Poul Ruders in this two-part series! Read Part I here. Danish composer Poul Ruders was mainly known as a concerto specialist before he convinced Margaret Atwood to allow The Handmaid’s Tale to be adapted into an operatic libretto in the mid-1990s. In the 1980s, Oliver Knussen brought Ruders’ name to prominence by conducting and recording his works with the London Sinfonietta and for the BBC. Ruders’ interest in and frequent visits to the U.S. have inspired some of his most successful concert music: Manhattan Abstraction (1982) depicts the New York skyline as seen from Liberty Island in icy January; he set the entire text of Edgar Allen Poe’s The Bells for American soprano Lucy Shelton in 1993; and his Serenade on the Shores of the Cosmic Ocean (2004) was inspired by the writings of Carl Sagan. Trained as an organist, Ruders had published challenging works for that instrument, including his Organ Symphony; the sounds of sustained keyboards permeate his Handmaid’s Tale and provide the foundation for many of its narrative recitatives. His published choral music combines ancient Gregorian chants and Latin texts, hymn tunes, psalm settings, and modern harmonies that extend those forms. While most of the choral writing in this opera is homophonic, with clearly articulated (and repeated) texts sung in rhythmic unison, some climactic passages overlap as many as five soloists and three dozen choral voices in three distinct choirs, each with its own pulsing, rhythmic theme. 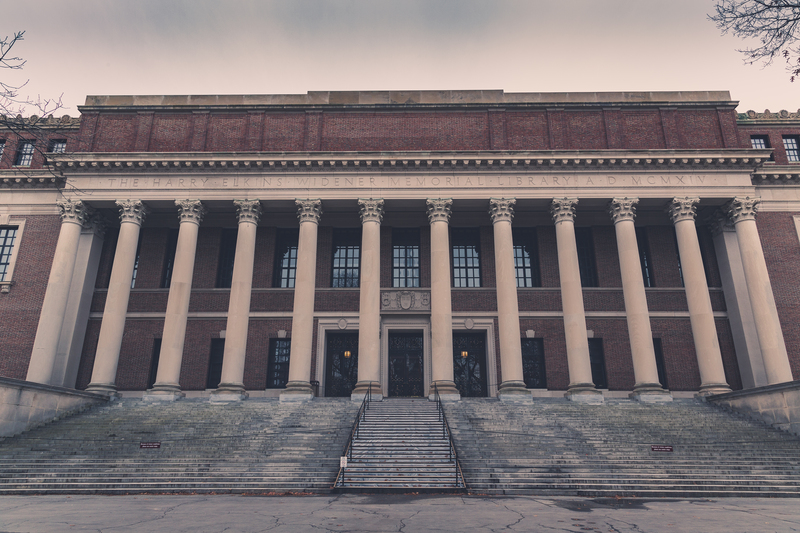 Atwood’s novel is set around Harvard University, where Handmaids are allowed to cross through guarded checkpoints (“Doctors lived here once, lawyers, university professors. There are no lawyers anymore, and the university is closed”). Off-limits areas include “the boathouse, where they kept the sculls once,” “the old dormitories... with their fairy tale turrets painted white and gold and blue,” and the football stadium. Handmaids may visit stores (one in a former movie theater), a church (now museum), and the high brick Wall of Harvard Yard, now framed with barbed wire, broken glass set in concrete, floodlights, and sentries (à la Berlin before 1991). Ruders returns us to the Wall throughout his hypnotic, evocative score, as it functions as a border (“for those trying to get out”), a warning (displaying identifiable bodies of “war criminals”), a source of relief (to confirm that some have not yet been captured), and a symbol of time standing still. Atwood’s Offred silently recalls fragments of hymns and remembers dangerous, outlawed lyrics (“Amazing grace, how sweet the sound” and “I feel so lonely I could die”). She hears occasional music from the TV, Rita’s wordless humming, and Serena Joy quietly listening to her own gospel recordings, “remembering her own and now former amputated glory.” Ruders concludes his Act I by conflating two scenes from the center of the novel: Offred stifles the sound of her own voice in the privacy of her room and then reacts to the hidden message “Nolite te bastardes carborundorum” [Don’t let the bastards grind you down]. Her unsuppressed laughter finally bursts out over a repeated chromatic motif, leaving the audience breathless. Poul Ruders became a fan of the massive, multi-faceted approaches to orchestration found in the works of Richard Strauss after studying with Karl Aage Rasmussen (b. 1947), a Schubert expert who advocated for quotation, collage, and montage in contemporary music. Ruders packed Handmaid’s Tale with hyper-expressionist special effects and fragments of recognizable melody, including Bach’s Bist du bei mir, 19th-century hymnody, mid-20th-century pop songs, and even “Tea for Two” (when we arrive at Jezebel’s gentleman’s club in Act II). Atwood’s Offred is filled with fragments of remembered music, from a tape of Les Sylphides played during calisthenics for new Handmaids to the voice of her husband singing “Oh, What a Beautiful Morning.” She dreams about sleigh bells and the sound of an old radio when remembering her daughter. Ruders responded to this by surrounding folkloric music with haunting choral passages, hypnotic chants, and stunning duets and trios that supersede the limits of traditional opera. Atwood’s vivid images also depend on real sounds, such as the hushed atmosphere and ticking clock of the Commander’s house, distant sirens, and gun shots. Offred remarks, “Time here is measured by bells, as once in nunneries.” Male voices on television sing “Come to the Church in the Wildwood” and “Whispering Hope” in between news reports of African-American resettlement camps and successful raids against Baptists and Quakers. The screams of enraged Handmaids and of ambulance sirens frame scenes of death and birth. Ruders’ original orchestration called for triple winds, a fourth trumpet, six percussionists, harp, electric keyboards including organ, grand piano, and a large complement of strings. BLO has commissioned a slight reduction of the orchestration from Ruders, primarily through doublings: this will result in a better-balanced group of roughly 65 players, retaining the grand scale of the original work while making room for the voices to be heard. 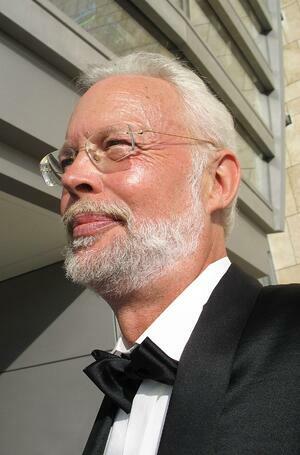 After the Danish premiere and recording of the opera in 2000, Poul Ruders was named “Composer of the Year” at the Cannes International Critics Awards and received Grammy nominations in 2001 for “Best Contemporary Composition” and for “Best Opera” (won that year by Colin Davis’ landmark recording of Berlioz’s Les Troyens). Ruders selected five arias and the final postlude from the opera to create a new, continuous monodrama entitled Offred Suite (2001), first recorded by Metropolitan Opera soprano Susanna Phillips. Over the next two years, he completed new orchestral commissions for the Berlin and New York Philharmonics while consulting on new productions of The Handmaid’s Tale by the English National Opera (April 2003) and the Minnesota Opera (May 2003). For the Boston premiere, BLO obtained permission to revise the opening and closing scenes. Atwood’s satirical “Historical Notes,” in the form of an academic conference paper at the 2195 “Twelfth Symposium on Gilead Studies” had famously concluded her novel, so librettist Paul Bentley created Prologue and Epilogue scenes as a second, outer frame for Offred’s testimony. Atwood acknowledged that she was inspired by George Orwell, who used a similar device to end his 1984: a guide to Newspeak that implied that the regime did not last. BLO will omit these Symposium scenes, transporting the audience directly to Gilead through Offred’s own words. For those interested in further exploring Poul Ruders’ music, Per Rasmussen has published an English-language book examining and illustrating all of the composer’s works through 2006 (Acoustical Canvases: The Mu sic of Poul Ruders, 2007). Bridge Records, an award-winning label based in New Rochelle, NY, continues to release its series of more than a dozen CDs of Ruders’ works, including most of his symphonic and solo guitar music. Regarding Atwood’s current projects, her new introduction to Anchor Books’ reprint of The Handmaid’s Tale clarifies the real-world inspirations for her novel: that essay also appeared in the March 10, 2017 issue of the New York Times Book Review. For contemporary thoughts on the reactions to and changes wrought by the “second wave of feminism” in the late 20th century, Atwood recommends an essay titled “About Anger” by the brilliant writer Ursula Le Guin from her 2017 nonfiction collection, No Time to Spare: Thinking About What Matters. 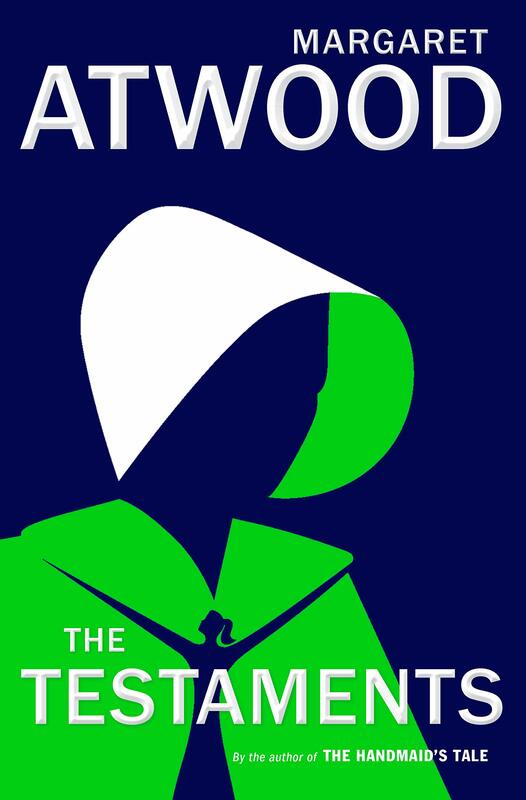 And for those who are frustrated by the open ending of The Handmaid’s Tale, there is good news: Atwood is almost finished with The Testaments, her long-awaited sequel set 15 years after Offred’s disappearance, as told through the voices of three narrators. It will be published by Nan A. Talese/Doubleday on September 19, 2019. Images (top to bottom): Poul Ruders, headshot; The Harry Elkins Widener Memorial Library at Harvard University, where the Gilead Secret Service is based in the world of the novel; book cover for The Testaments, expected in September of 2019.